Hello Ghana! My name is Daphne and I am happy to connect again. This week, I will be sharing tips on how to keep your house smelling fresh. Everyone wants to have a clean, fresh smelling home, but regular indoor living sometimes renders that home less than fresh. Do you want to know a secret? One word. 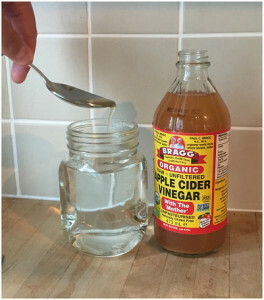 Vinegar. Mix vinegar and water in a new spray bottle and spray to freshen a room and eliminate odors. The vinegar odor will dissipate within a few minutes taking other odors along with it. To keep a microwave fresh and clean, put a microwavable bowl of vinegar and water in the microwave and turn on the microwave for 20 or 30 seconds. This will eliminate food odors and the microwave will easily wipe clean with a damp sponge. For more tips log onto our website www.emerald propertiesgh.com and our social media handles. Until tomorrow, stay fresh! Stay Happy!